What is Road Warriors Identity? 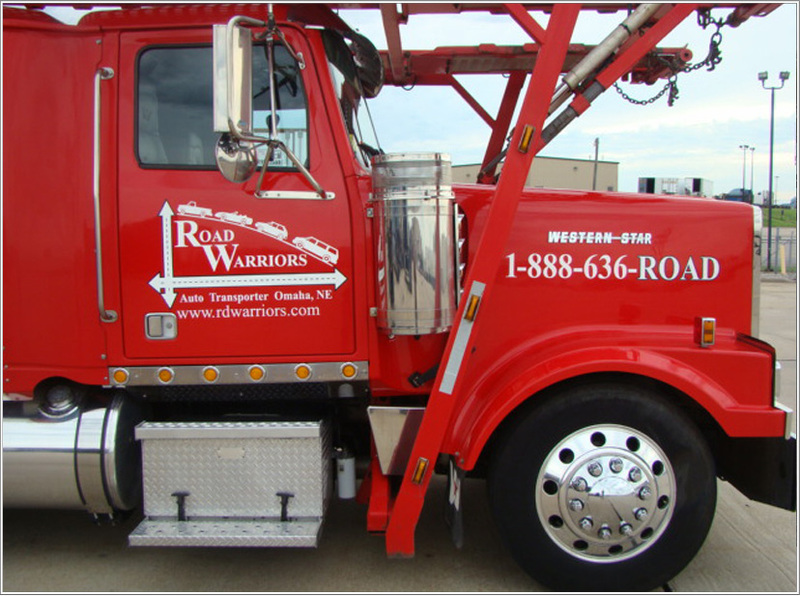 Road Warriors provides Marshalling Yards, Up-Fitting, and Nationwide Transportation for single, truckload and fleet volume vehicles by truck or rail for retail, wholesale, commercial, and POV customers. In the Better Business Bureau's annual Integrity Awards, Road Warriors received honorable mention in 2006 & 2007 and was a finalist in 2008. What is Road Warriors most passionate about and how is it reflected in operations? Always maintaining integrity by creating long-term relationships with our customers, employees, and vendors to create long-term success and profit for all. Our prices are customer orientated; we do not cut corners when it comes to providing accessories and transportation for your vehicle(s). Road Warriors is driven for your success! What does Road Warriors do to give back to the community? Road Warriors is the official auto transporter for Cars 4 Christmas and Cars 4 Heroes donating transportation and storage services by utilizing our equipment, drivers, and staff. Cars 4 Christmas is a not-for-profit organization that provides free basic transportation to disadvantaged individuals and war veterans who are not able to obtain it on their own. Find us and hear their story at www.Cars4Christmas.org. What are Road Warriors’ key strengths? Over 120 years of combined transportation management expertise. Recognized three times in the Better Business Bureau’s Integrity Awards, involving over 7,500 members in our three-state chapter. At the national level, selected in 2009 & 2010 for Auto Remarketing's Top "Power 200" Companies recognizing the most influential companies in the remarketing and used-car industry. Nationwide transportation of single, truckload, and fleet volume vehicles by truck or rail. Cater to retail, wholesale, commercial, and POV customers. We have created several niches in our industry that are not offered by our competitors. We have over 3,000 partnering companies that represent Road Warriors. What separates Road Warriors from their competition? We provide nationwide transportation for local, short-haul, and long-haul runners and non-runners. This includes service to all 42,600 zip codes in the lower 48 states. We make Up-Fitting and Transportation Easy! Installation of aftermarket accessories and immediate transportation. We provide Marshalling Yards for storage, vehicle clean-up, standardized inspections, and body work with internet auction capabilities. Road Warriors introduced the "Less Than Truckload" (LTL) Relay System to the auto transportation industry. How can you go wrong by hiring Road Warriors for your Marshalling Yard, Up-Fitting, and Nationwide Transportation requirements?